Scott®, one of Malaysia’s most trusted household brands, is proud to introduce the brand-new Scott® Calorie Light, a first-of-its-kind kitchen towel designed for superior oil absorbency and proven to reduce calorie intake! 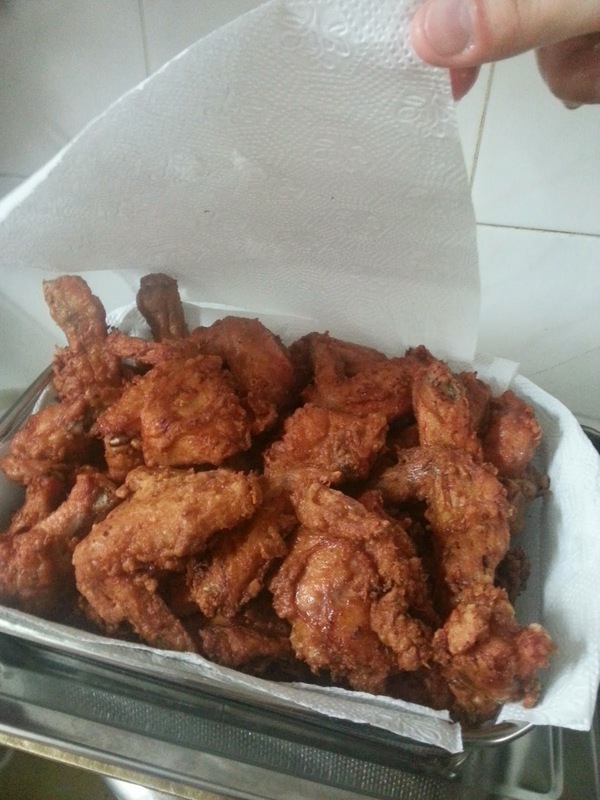 Thanks to Brian, for giving me this opportunity to join in this challenge to prepare my own Fried Chicken Recipe. This brand is trusted and even my parents in law use it all the time. 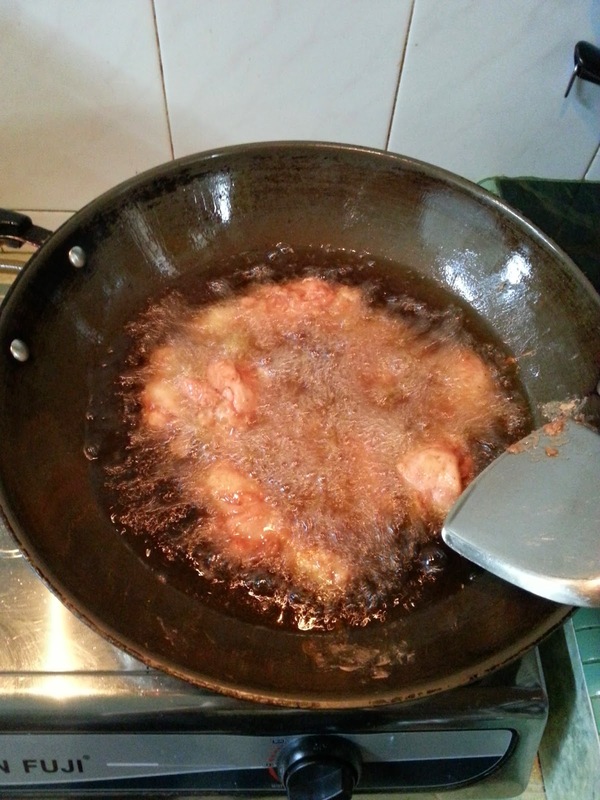 I taken my mum in law advise on how to prepare a " Nam Yu ( red beancurd) Fried Chicken. 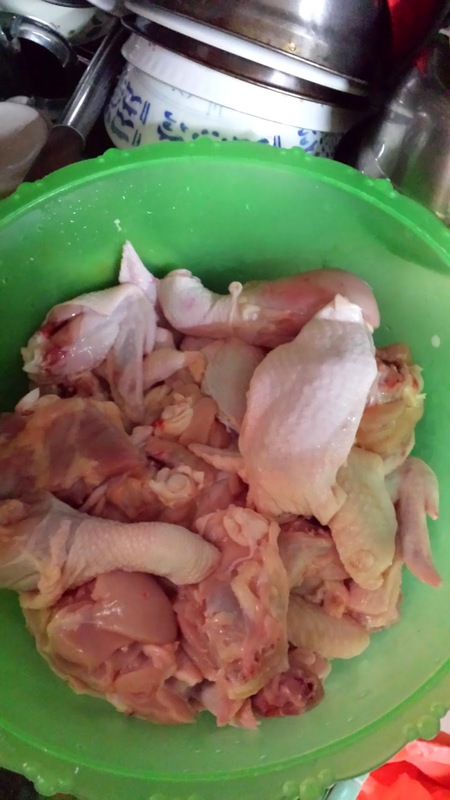 Firstly, i bought a whole chicken with additional chicken wings and small chicken drumstick. This portion can share among 7-8 persons. 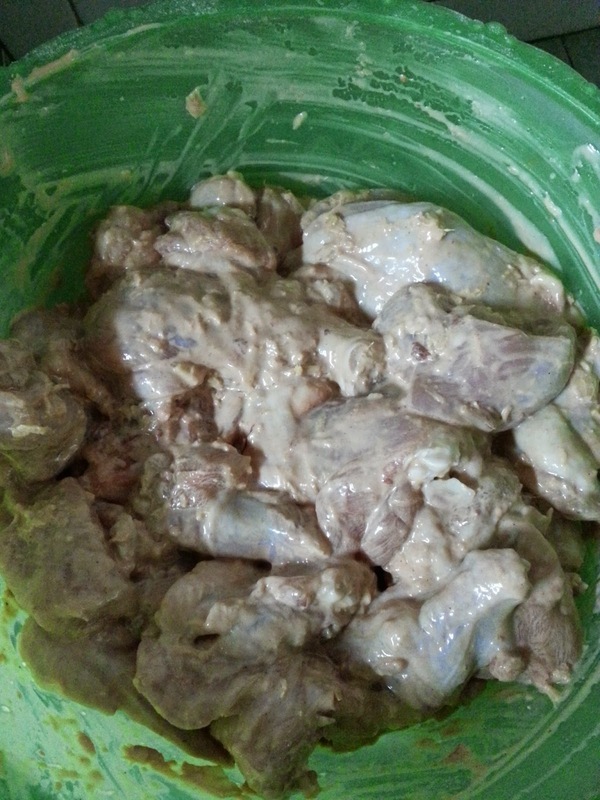 After washing all the chicken, we need to marinate it one day before and keep in the freezer. Cutting all the onions, garlic and ginger ( peel of the skin and wash). 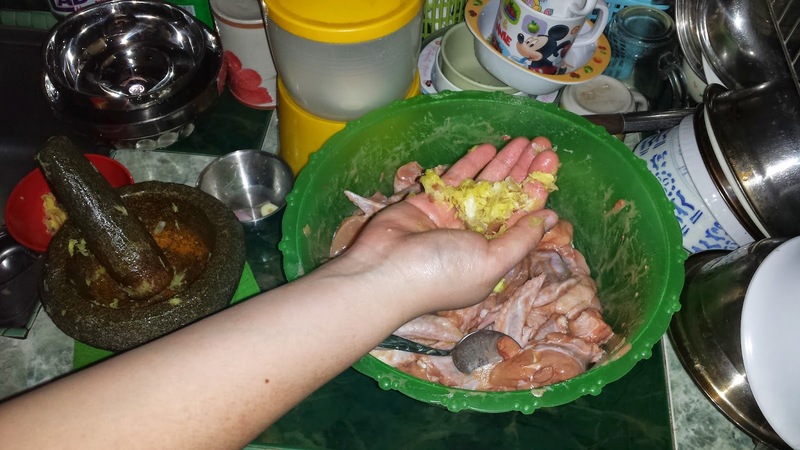 Make it smaller pieces and using the traditional Lesung Batu (mortar and pestle). Old fashion way, but this is still my best choice for a greater result compare to the blender. I will mashed slowly combination of the onions, ginger and garlic. 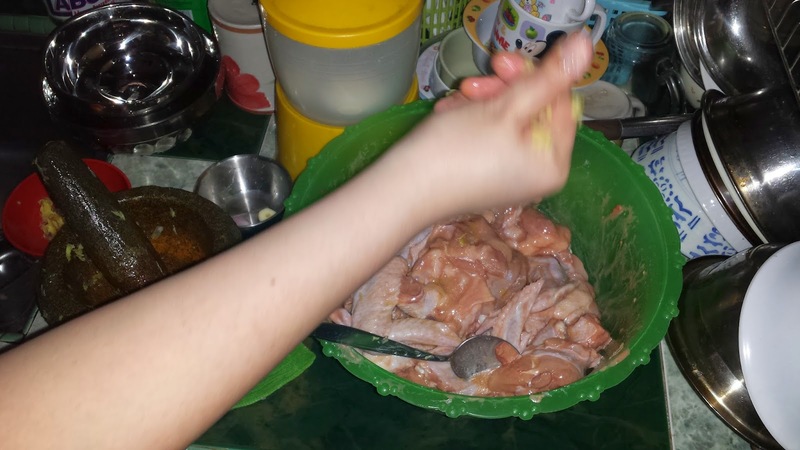 Then i will squeeze the juice into the chicken. 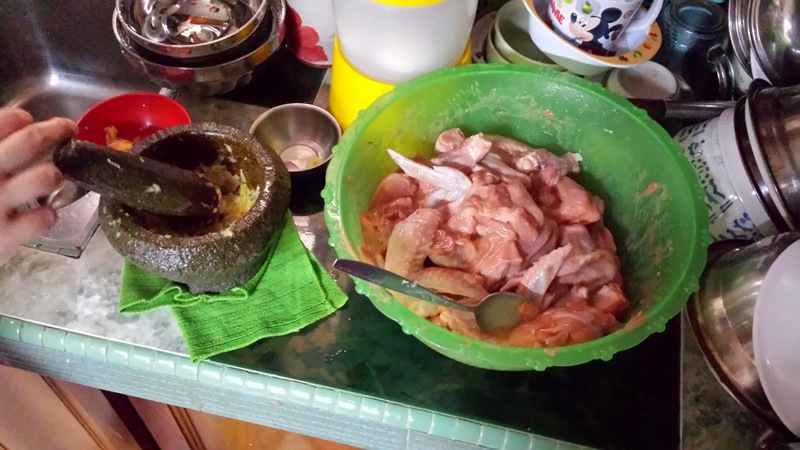 At the same time, i will put in nam yu, sugar, sesame oil , flour , pepper and mixed mashed all the ingredients with the chicken by using my both hands . This will make the flavour absorb better and on going chopping the remaining onions and ginger and squeeze it all around. 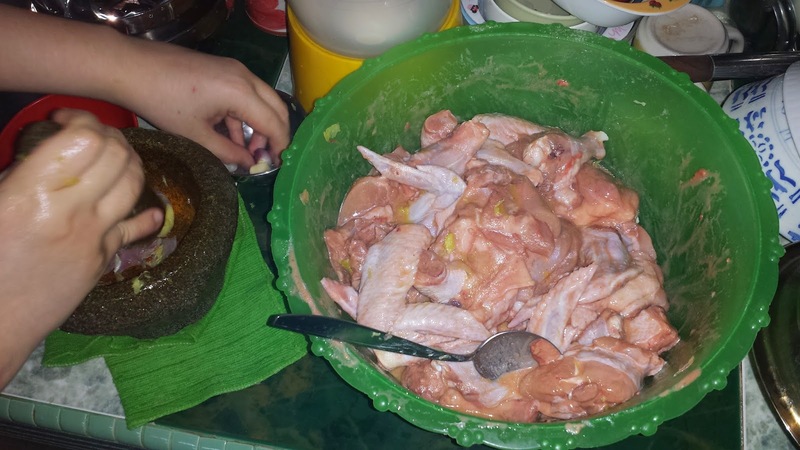 After that, i will put all the chopped mixture and again ensure the chicken pieces is well coated with the paste. Marinate for at least 24 hours and keep in the freezer. Put in a container and keep in freezer. 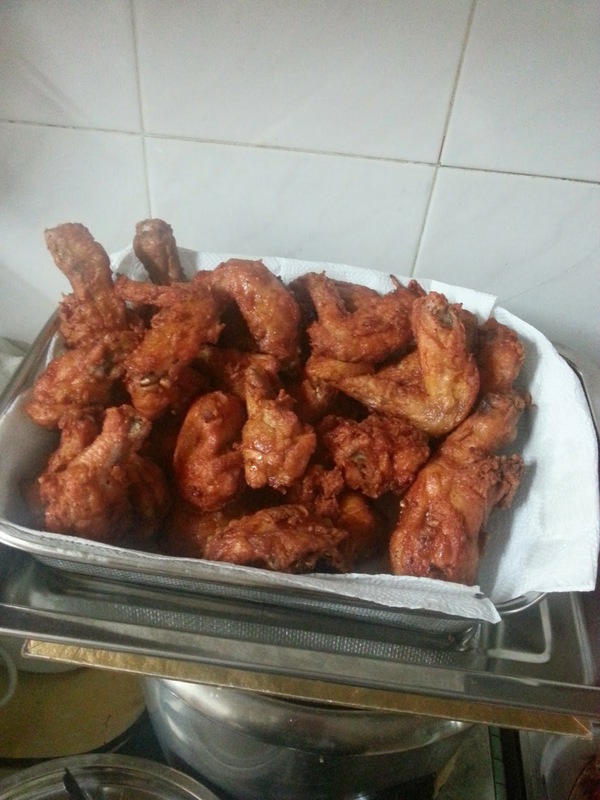 So we are ready for the fried chicken. 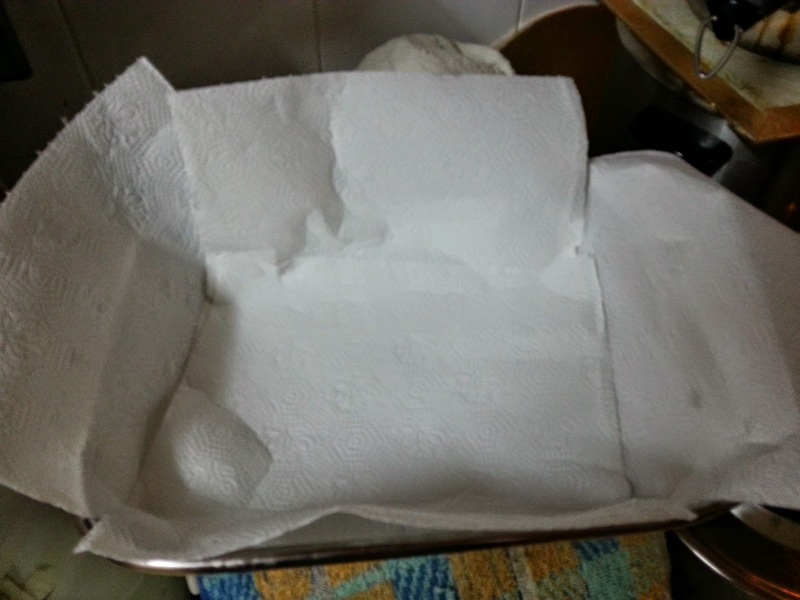 Firstly need to take 3 pieces of Scott Tissue to cover up my serving tray to absorb the oil. 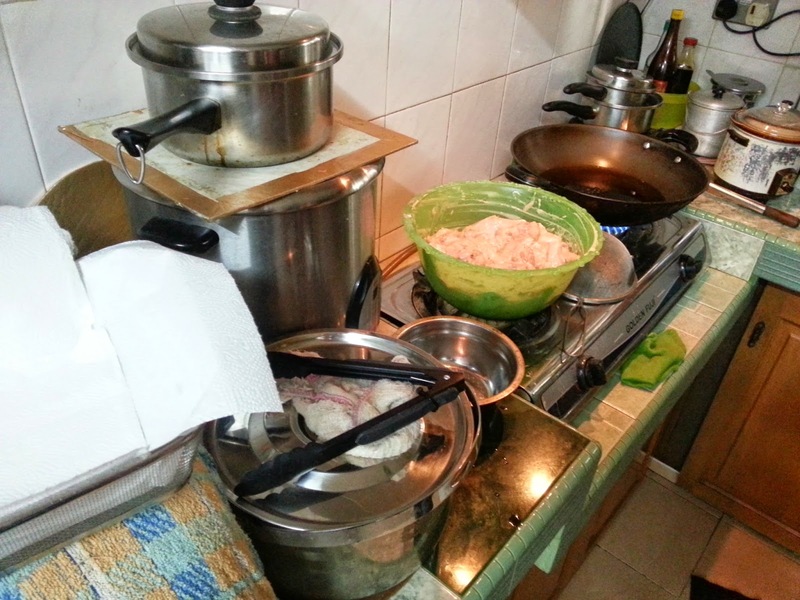 Preparation is ready and now we can heat up the oil. Put in the flour and coated well for all the chicken pieces. Heat the oil in a wok for about 5 minutes. 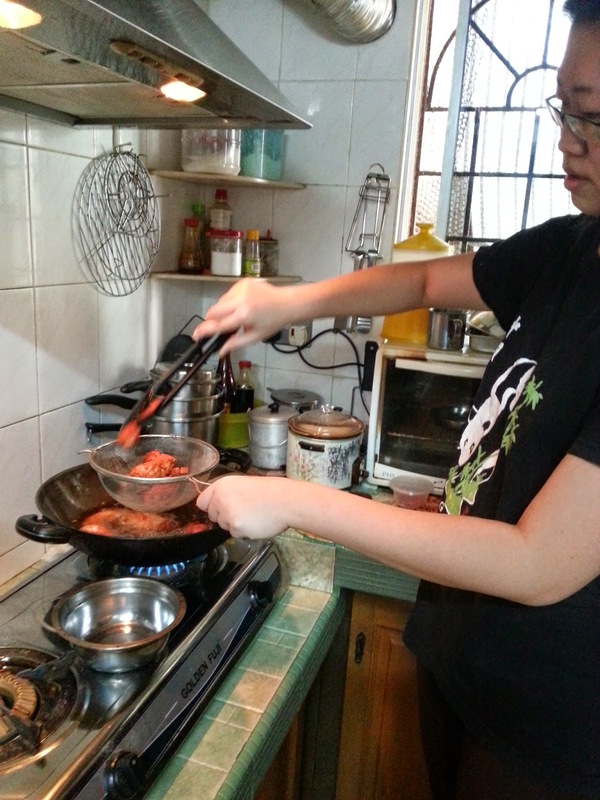 To test whether the oil is hot enough, put a chopstick into the oil. If the oil bubbles, it is ready. 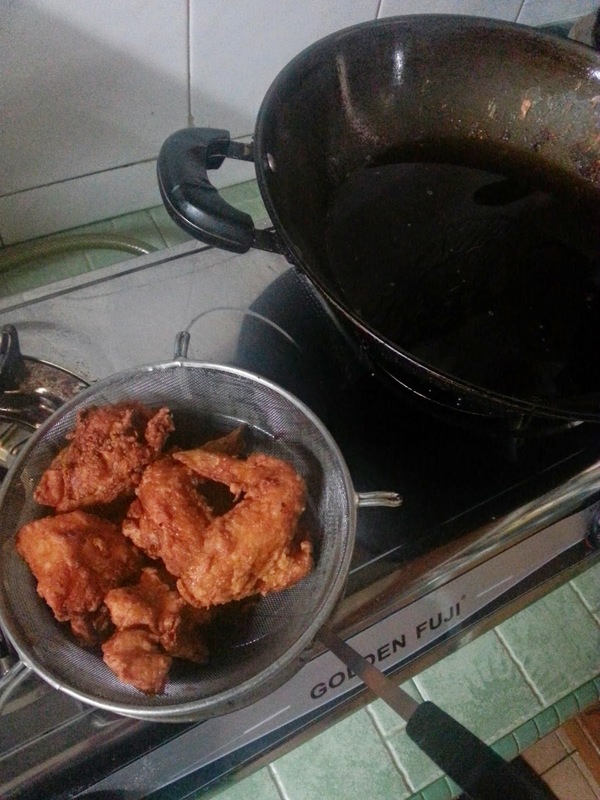 You can then put chicken into the oil to fry until it turns golden brown. That should take about 5 – 10 minutes. The fire need to ensure is hot before putting in the chicken. After the wok is hot, we can lower down the fire and when putting in the chicken already, can level up the fire a little bit. 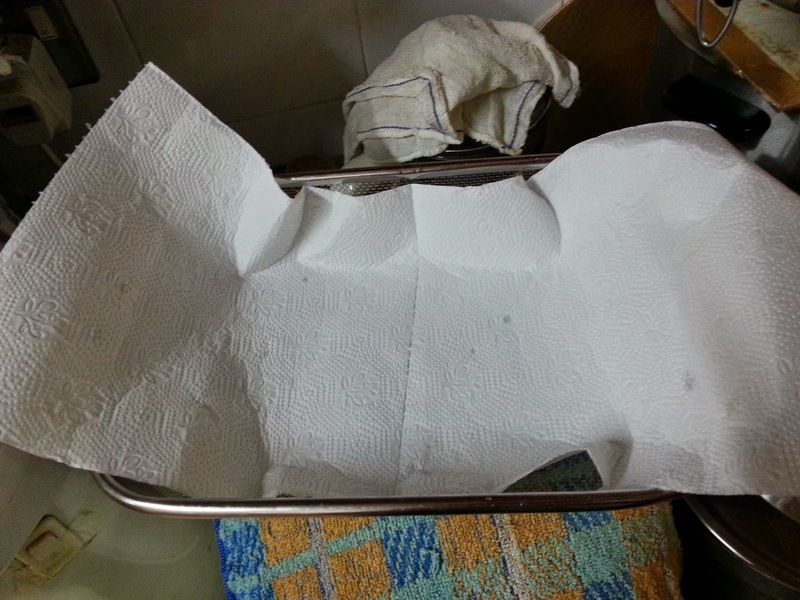 Drain chicken on Scott towels before transferring on a service plate. My first time trying out Nam Yu Fried Chicken. Delicious and truly appetizing. The Nam Yu have the tantalizing flavour and this is the easiest recipe for me to practice too. 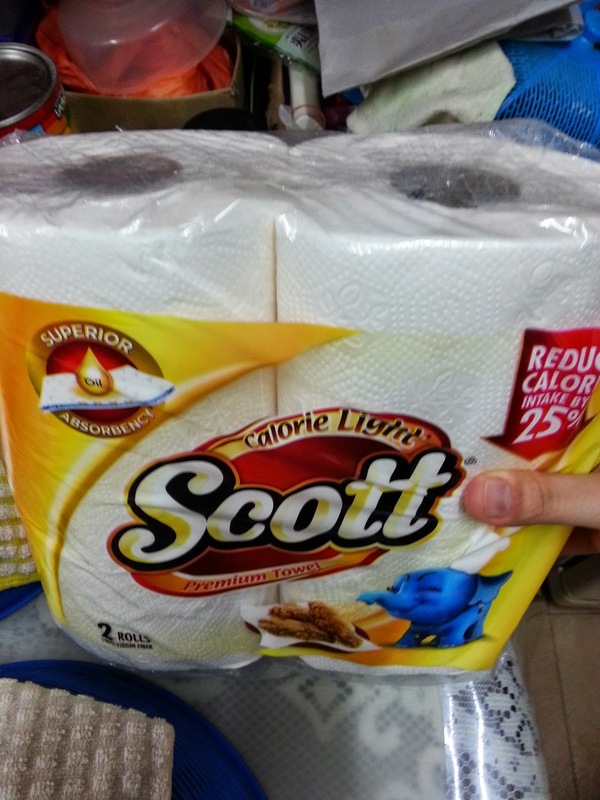 Less Oil, More healthy way by using Scott Calorie Light premium kitchen towel in my kitchen. Satisfied and my family love it so much. The new Scott® Calorie Light Premium towel is a brand new towel specifically designed for superior oil absorbency. Extra thick than usual, with Fiber-Tech Technology and infused with green tea extract for easy and effective absorption of excess oil from surface of foods, and giving us the advantage to reduce the calories we consume. 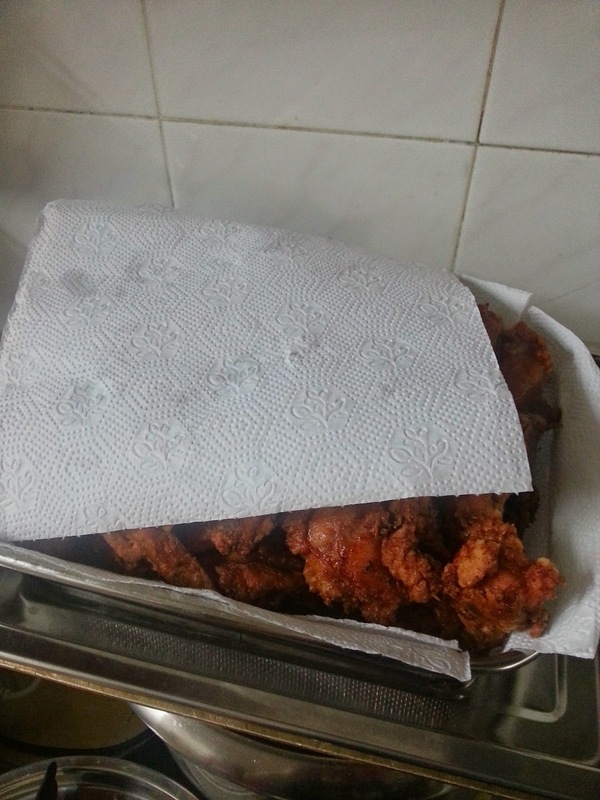 There is a research by an independent party tested and proven that by using only 3 sheets of Scott® Calorie Light kitchen towel to soak up excess oil from food like fried chicken before serving, the calorie intake from fat is reduced by an average of 25%! Can you imagine that?? This is really a must in our food preparation and for a great result cleaning up greasy surfaces.